My name is Macey Berkley, and I am from Chicago, Illinois. I was fortunate enough to attend Maynooth University this summer where I was able to experience a new culture! 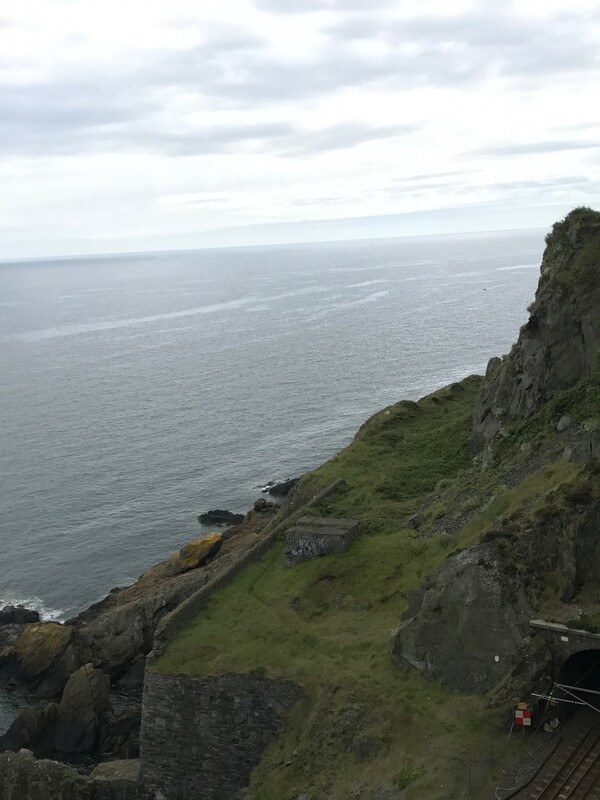 This photo is from Giants Causeway where we able to climb on the rocks and also hike to the top of the mountain overlooking the whole Causeway. 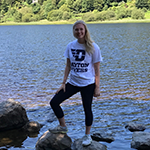 As my time at Maynooth University International Summer School comes to a close, I have created memories and experiences that could have not been possible back at home. As a result of this trip, I approach academics and even culture in a new way. 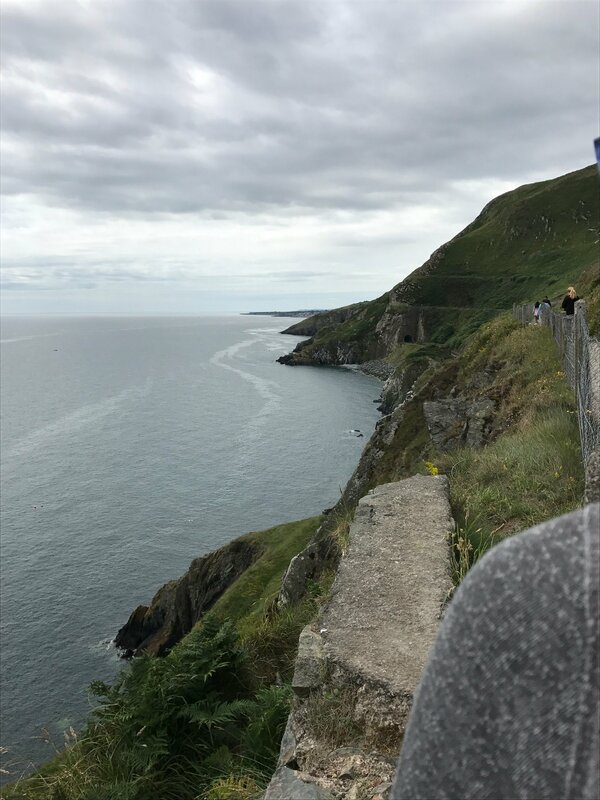 One of my most treasured memories was getting to experience Ireland on my own. I consider myself outdoorsy, and so I and one of my friends went to talk to one of the summer staff people about cool hiking places near Maynooth. The staff member gave us a suggestion to go to Bray and walk to Greystone. My friend and I travelled on the train for the first time on our own, which was an adventure in itself. Once we learned how the train worked and how the trains were labelled, we were off to Bray. Bray is a beautiful seaside town that fulfilled the picture in my head of how Ireland looks. The coast was quiet and clear as we approached Bray. As soon as we got off, I could feel the cool breeze against my soon to be sunburnt skin. 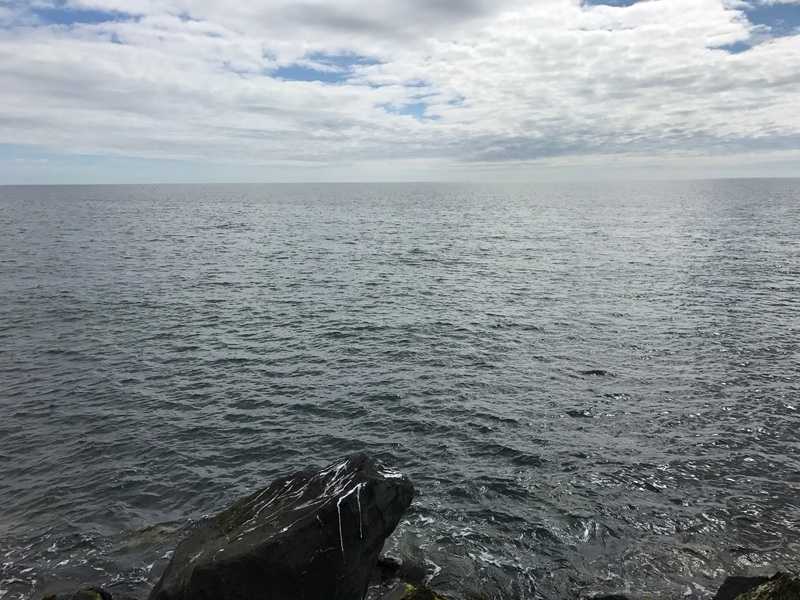 We walked down to the beach and climbed on the rocks, and we soon figured out the way to start the walk, which was a 14-kilometre cliff walk. We began uphill, and I was getting anxious because 14 kilometres is pretty tough. However, it soon flattened out, and we were able to see the waves crash against the cliffs. It was an amazing scene to witness. We went early in the morning, so not many people were around us. The journey continued, and we were able to see old ruins of past walls and residences. After a two-hour walk/hike, we arrived in Greystone. I felt incredibly accomplished for completing that walk. It was peaceful to be out there away from any business of Dublin or the stress of school. Greystone is also a small seaside town, but it was almost a relief to sit down after the hike. Overall, as a result of Maynooth’s generosity, I was able to have that experience in Ireland. I will always remember the independence I learned during this trip! Next articleMoving on a Limited Budget?